U.S. government got approximately $125 million out of the False Claims case but what about eClinicalWorks customers? When eClinicalWorks settled the $155 million False Claims lawsuit with the U.S. Department of Justice, the agreement included stipulations that the EHR vendor must transfer customers’ data to a rival electronic health record platform if asked and that it fix software issues that caused the problem in the first place. Almost a year since then an existential question has arisen: the government got its money and whistleblower Brendan Delaney collected approximately $30 million as he is entitled, but what about eClinicalWorks customers who either missed out on revenue because of non-compliant software or have to keep paying eClinicalWorks so they can collect on accounts receivable? Two eClinicalWorks customers said the data transfer options and faulty software are still problematic today. Andrew Gordon, MD, of Northwest Neurology in Lake Barrington, Illinois, said he has been using eClinicalWorks since 2012 and while there have been small issues along the way, things really took a downturn in the last year. Roe and Gordon both said that insofar as they can tell eClinicalWorks has not complied with the DOJ False Claims case requirements. 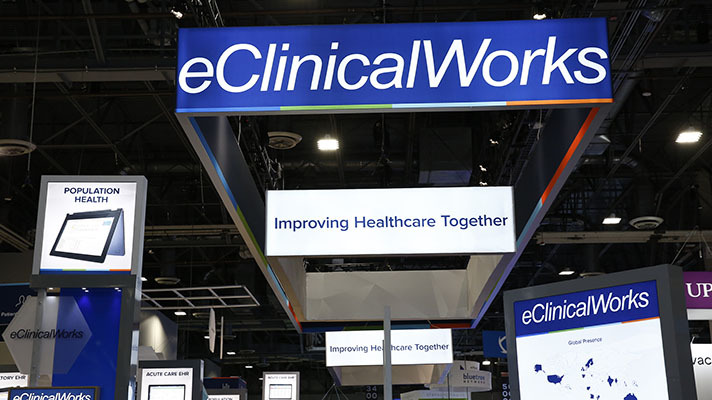 eClinicalWorks spokesperson Bhakti Shah said that eClinicalWorks is in compliance with the settlement and retained an Independent Software Quality Oversight Organization, though she declined to name that company. Shah sent Healthcare IT News the form outlining options customers have. Those include: CCDA export, which is free, a one-time unencrypted database backup including scanned documents that costs $500 because eCW provides an encrypted hard drive, cloud-read only access for $200 a month per provider, and the full-service data extraction option comprising patient demographics and appointments in CSV format, locked progress notes in read-only PDF format, patient documents in native format with index file, and interface results in PDF at $1,500 per provider plus $500 for the hard drive to house that data. The ability to transfer data is a sticking point, Roe said, because of the matters of timing and accounts receivable. When Roe inquired about turning eClinicalWorks off and switching to Practice Velocity, which CRH runs in multiple facilities, she was told that it would take 4-5 weeks to get her data out of eClinicalWorks — which means CRH has to get close enough on its accounts receivable that Roe would be okay operating with a 4-5 week information gap. Roe added that since CRH has approximately $500,000 gross in AR there’s little choice other than to pay the full price to keep eCW open for billing purposes. CRH has worked with several other EHRs, including Allscripts, DocuTap, Medical Manager and AdvancedMD, and they all have a glide path so customers can keep their AR open while they finalize existing accounts receivable. Should the government step back in? Gordon said that because of glitchy eClinicalWorks software the Centers for Medicare and Medicaid Services denied Northwest Neurology’s PQRS. Doctors went through the rigmarole of reporting only to have CMS say it never received that data and then subject Northwest Neurology to downward payment that Gordon estimated to be about $100,000 per year. Gordon also said that the government should get involved again: It’s time for OIG to investigate, call out eClinicalWorks, bring executives back to the table and if they won’t comply the fine needs to be bigger, the remedies more comprehensive.